“He doesn’t even know his best eleven!”. That was a regular accusation levelled at head coach Mauricio Pochettino last season, by fans who did not have a full appreciation, at the time, for the scale of the work he was embarking on at Tottenham Hotspur. Performances back then were inconsistent, results even more so, as Pochettino was largely forced to make do with the squad he’d been left with – an expensively bought, fragmented, bunch of players who were equally capable of glory and despair, often in the same match. However, evidently it was all a period of quiet evaluation by the Argentine. Every player was given a chance to show what they had to offer. Team line-ups changed regularly from game to game as Pochettino looked to find who was worth keeping and who would need to be moved on in the summer. To many, this activity looked like a manager who didn’t know his best eleven, and to some extent that was correct, however it was a essential and pragmatic exercise in separating the wheat from the chaff. Fast forward to the current season. Spurs are sitting second in the Premier League, with the competition’s best goal difference and least number of goals conceded. In addition, the club find themselves in the last 32 of the Europa League and the FA Cup last 16. The hard work is starting to pay off. It’s fair to say this is a scenario that anyone associated with Tottenham wants the club to be in – battling on several fronts with multiple chances for silverware. Clearly then, there has been – and will continue to be – a need for the entirety of resources at Pochettino’s disposal to be utilised, and he had done this extremely successfully thus far. No longer can a top Premier League club get by relying solely on a best eleven. Football, in modern times, has become a game of player rotation and squad depth. Rarely does a side go into a match with an unchanged starting line-up. Looking at Spurs, there are obviously a core of players who could be described as first choice for their position. The likes of Hugo Lloris and Harry Kane come to mind. But for the first time in several years, Spurs have a rich squad of players with real competition for places. For example, there are no first-choice full-backs anymore. Instead, in Kyle Walker, Kieran Trippier, Danny Rose and Ben Davies, Spurs have four players available that would not look out of place starting an important game for the side. Pochettino has implemented a system of effective squad rotation – frequently alternating individuals in successive games – and few fans would now bat an eyelid if a team line-up went out with any of those included. Similarly, in the attacking midfield positions – with Christian Eriksen, Heung Min Son, Nacer Chadli, Erik Lamela and Dele Alli all vying for a starting role – Pochettino has been able to rotate players regularly over the course of the season to the point where any of them could stake a case for a starting berth. Austrian centre-back Kevin Wimmer has come in for the last two games following Jan Vertonghen’s recent injury. He had featured little before then and many doubted how well he would get on. But he’s slotted in seamlessly, with two clean sheets under his belt. He is proving himself as a legitimate option in place of Vertonghen and few would doubt his credentials and suitability for the role now. In short, for the first time in recent memory, Spurs are no longer a team of eleven starters and their backups. They are a unified squad of 20-odd players, all committed and passionate, with a definitive role to play and something to offer on the pitch. If any of those individuals started in Sunday’s top-of-the-table clash with Moneybags City, they would do so with fans safe in the knowledge that the player has earned the right to start, and will have to give 100% knowing there is an equally hungry player sat on the bench raring to come on in their place. This is the culture of camaraderie and competition that had been cultivated at Tottenham this season and it is one that is proving to be the foundations for a very promising future. 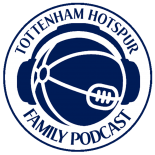 This entry was posted on 12/02/2016 by javadmovahedi in Uncategorized and tagged COYS, Mauricio Pochettino, premier league, spurs, thfc, tottenham fc, Tottenham Hotspur, Tottenham Hotspur Football Club.